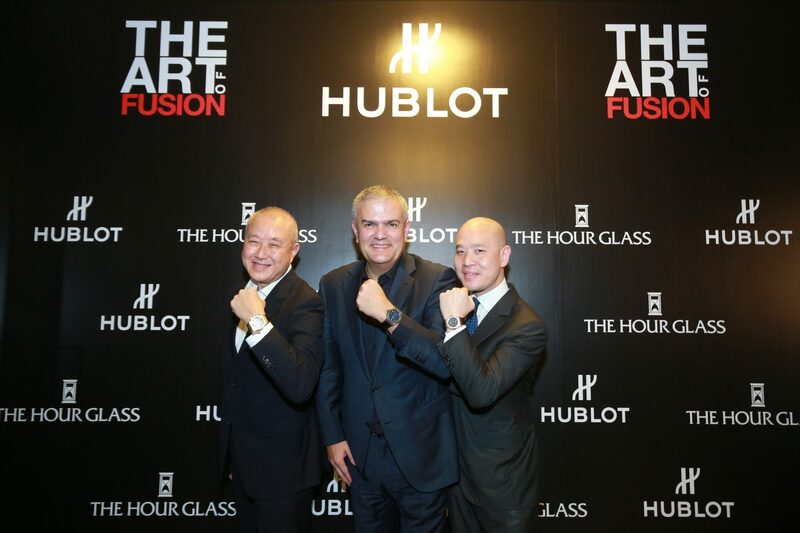 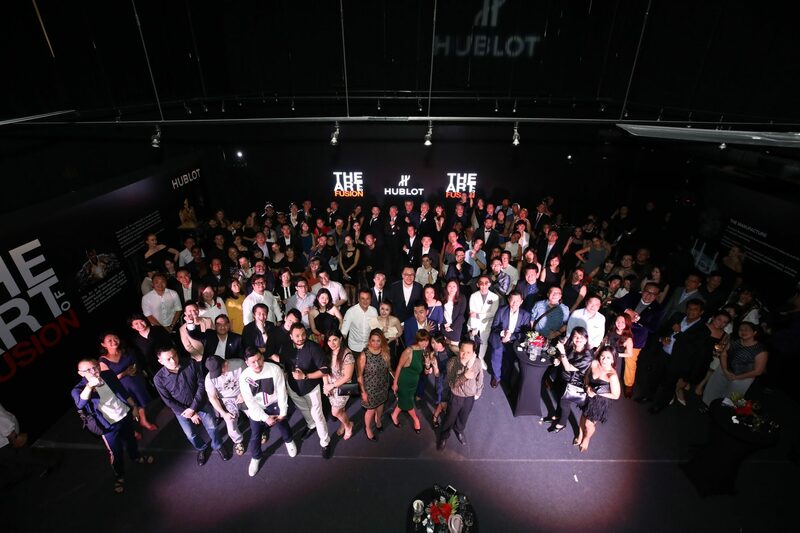 October 11th, 2017, Kuala Lumpur – Hublot and The Hour Glass hosted a private ‘The Art of Fusion’ showcase to celebrate the distinctive character trait that forms the brand’s very DNA. 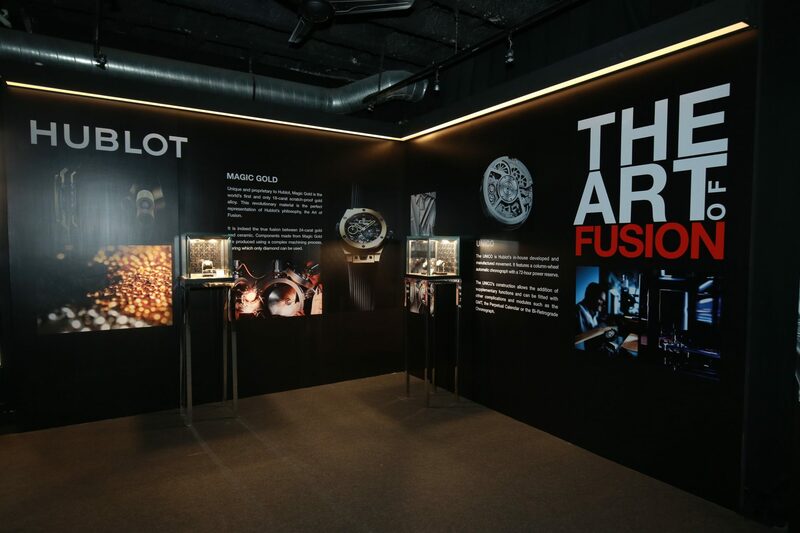 Representing the subtle connection between a past ingrained with traditions and a future nourished by visionary ideas, ‘The Art of Fusion’ continues to reinforce the brand to innovate and introduce timepieces that are unique, different and avant-garde. 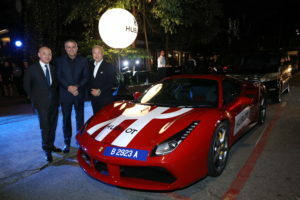 Held at Slate at The Row, the night of a unique and fusion affair celebrating ‘The Art of Fusion’ saw the attendance of 150 distinguished guests including Mr. Ricardo Guadalupe, CEO of Hublot SA and Mr. Michael Tay, Group Managing Director of The Hour Glass Limited, gracing the event buoyantly with a convoy of racy red Ferrari. 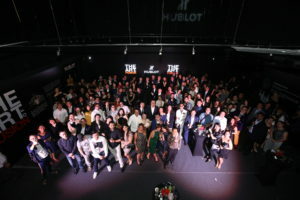 Guests were treated to experiences thoughtfully curated inspired by the very concept of ‘The Art of Fusion’, from personalizing their own leather key chains, savoring the free flow of special ice cream cocktail concoctions by Hublot’s own in-house mixologist, to indulging on novelty desserts – black sesame ice cream served on charcoal cones. 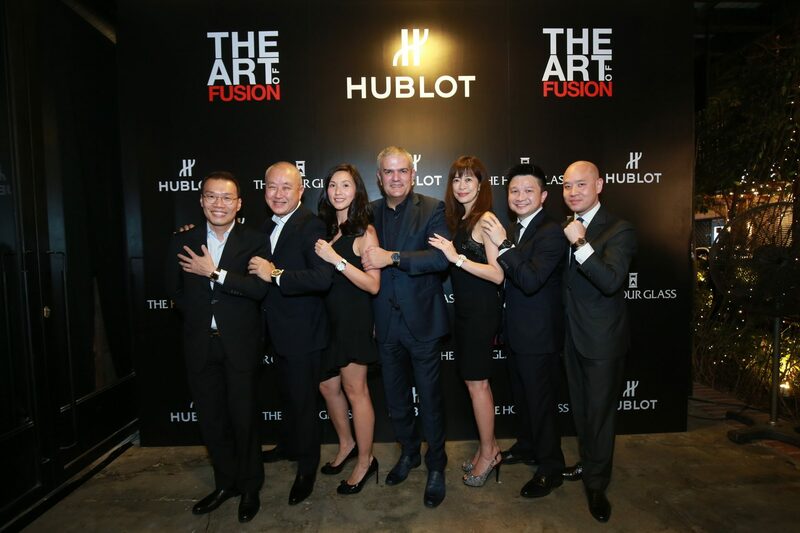 Hublot’s story began with its motto back in 1980, being the first watch brand to combine gold with natural rubber. Jean-Claude Biver, current Chairman of Hublot and President of the LVMH Group Watch Division, and Ricardo Guadalupe, CEO of Hublot, hold the ‘The Art of Fusion’ motto at the heart of the brand and this now guides the actions, innovations, developments and partnerships, blending the past and the future, the tradition and the innovation. Guests were also invited to a journey into Hublot’s watchmaking universe discovering the notion of the ‘Art of Fusion’ and the exquisite pieces created by this very motto, such as the Hublot Big Bang Meca-10 Magic Gold, Hublot Big Bang Unico Sapphire, Hublot Big Bang Broderie Sugar Skull Fluo and many more. 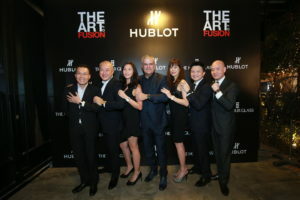 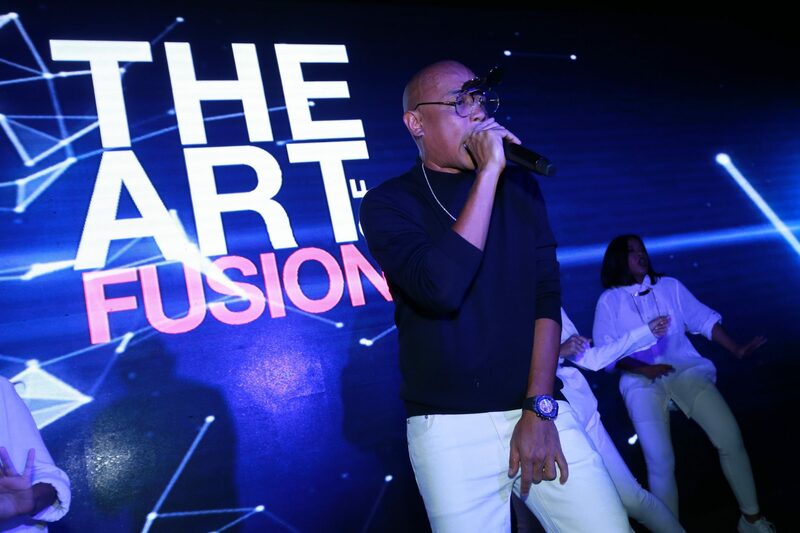 The celebration reached its peak with a rhythmic performance by the shadow dancers beautifully choreographed moves’ fusion with technology, and a show-stopping act by Hublot’s latest Friend of the Brand, and legendary celebrity hip hop artist Joe Flizzow. The night ended on a high note when celebrity DJ and singer songwriter, Mr. Fluff mesmerized the guests with his electrifying mixes.